Elysium Spa resort, a 3 star hotel, sprawls over 7 acres of land, surrounded by vast lush and posh greenery on all sides. The mind-arresting view of natural beauty of Western Ghats that houses this property forces guests to stay an extra day at this property. One doesn’t feel like going back to home, because of the tranquillity this area offers. The seclusion from daily fast forward lives is yet another reason people prefer, to opt for these places. With a vision to see the invisible desires of their customers, and carve out the services based on the desires, Elysium has always been in the list of favourites of their guests. Their commitment towards providing quality services, can be cross checked by the fully satisfied reviews their guests have left on many travelling sites. 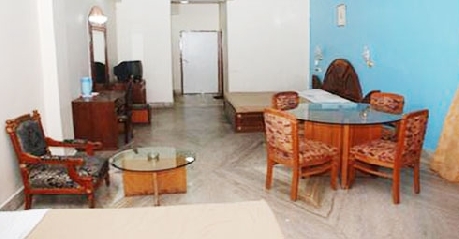 In budget, these rooms are well-equipped with all the basic amenities. 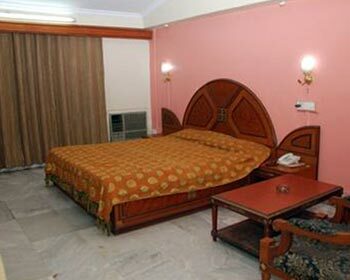 The room accommodates a double bed, with an AC. With marbled floors, and sober coloured walls, a small dining table, a work desk and a wall mirror is provided in the room. 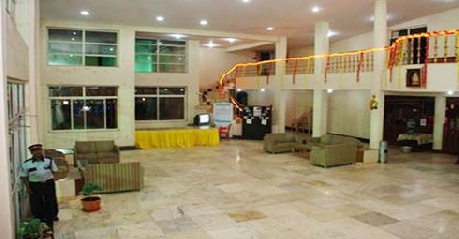 Various services that are provided include laundry facilities, TV with digital connection, room service, and many more. As the name itself suggest, these rooms are surrounded by plush greenery around, and the astonishing view of Panchgani’s landscape can be enjoyed. These rooms are designed for the nature lovers, and hence no ACs are provided, instead one gets to enjoy the coolness of nature. A much required stay away from technology in your lives, which are completely devoid of any natural experience. They come with amenities that are a must to make your stay comfortable in all ways. Attached bathroom with toiletries, running cold and hot water, television with satellite channels, comfortable double bed, telephone with STD and ISD facility and more. 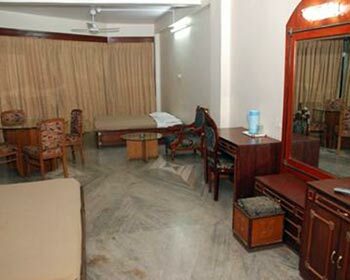 These rooms house double beds with an AC, and are well-equipped with all the basic amenities. The en suite showers and bathrooms offer privacy to the guests, and one can also utilise the laundry facilities provided by the resort. 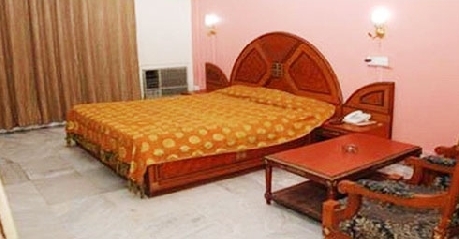 Some of the facilities available in the Elegant Rooms are direct dial STD and ISD facility, daily housekeeping, 24 hour supply of hot and cold water, satellite television, paid laundry service and more. Luxury could never be better than what is offered by the Maharaja rooms at Elysium Resort in Panchgani. 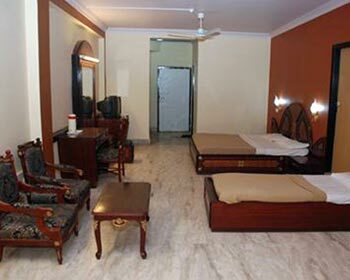 These rooms are air-conditioned with double beds, and have attached bathrooms and showers. The laundry facility and room service is available for the guests staying in these rooms. All the rooms at resort have a mind blowing view of Panchgani’s landscape. 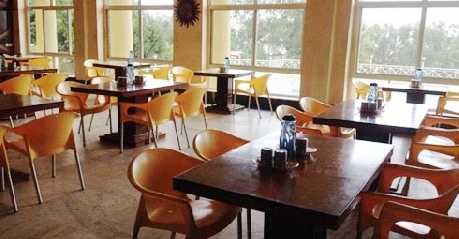 The availability of the daily housekeeping, satellite television, direct dial telephone, round the clock hot and cold water supply and more ensure that the esteemed guests do not face any problems during their stay here. 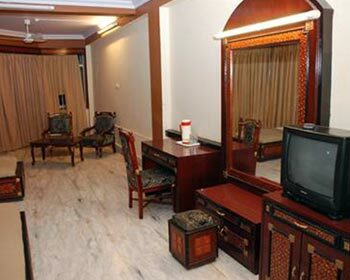 Get treated no less than a Maharaja when you choose to stay in these rooms during your visit to Panchgani. With elegant interior designs, restaurant at the resort gives its customers the calmness of cool breeze flowing over the swimming pool water. 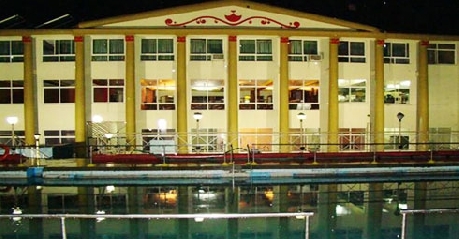 With a swimming pool view in its treasury, guests get two option to choose from. You can either go with the normal A la Carte menu, and order their favourite dishes, or let the buffet of resort satiate your taste buds. 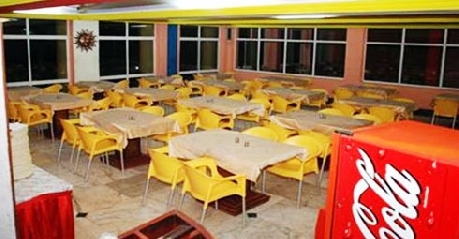 Buffet system is available for all the three meals, Breakfast, Lunch and Dinner.